Undefeated Featherweight Rafael “Big Bang” Rivera (25-0-2, 16 KOs) will step in to fight 2012 U.S. Olympian Joseph “JoJo” Diaz, Jr. (24-0, 13 KOs) in a 12-round WBC Title Eliminator as the co-main event to the Canelo-Golovkin superfight Saturday night at T-Mobile Arena. Rivera, a 23-year-old from Tijuana, Mexico, has steadily climbed the featherweight division. He defeated former Super Bantamweight World Champion Wilfredo “Papito” Vazquez, Jr., stopped Ruben “Canelito” Tamayo and took away the undefeated status of Ruben “El Tibio” Garcia Hernandez. Rivera is replacing Jorge Lara, who had to bow out due to reasons that have not been verified. Rivera was originally supposed to fight Diaz on Saturday’s card, but was forced to step aside for Lara, due to Lara being higher-ranked by the WBC. Rivera has already been training for a fight next week, and is in tip-top shape for his showdown with Diaz. Diaz, a 2012 U.S. Olympian who has shot his way to the top of the featherweight division with victories over a who’s who of contenders, was unfazed by the last-minute change of opponent. 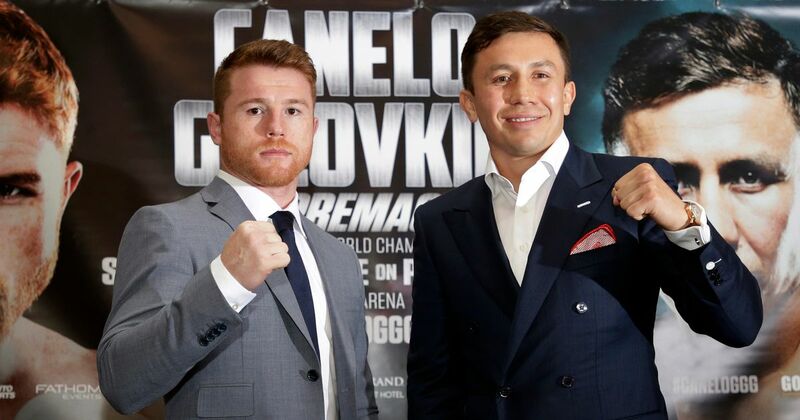 Photos and videos are available for download by clicking here or copying and pasting the link http://bit.ly/CaneloGolovkin into a browser. Credit must be given to Golden Boy Promotions for photos and videos used.